Supplementation programs should continue to be important building blocks for cowherd nutrition programs even during belt tightening times. It is during these lean times that getting the most ‘bang for your buck’ becomes even more critical when selecting which, how much and what supplements to feed. The cow operations that continue using solid supplementation programs, regardless of the state of the cattle market, will be making management decisions that produce profits, said Twig Marston, Technical Sales Field Manager at BioZyme Inc., leaders in natural supplements for all species of livestock. “For decades, producers have known that supplementing gestating cow diets with the trace mineral zinc reduces the number of retained placentas. The 2010 Beef Improvement Federation proceedings indicated that organic trace mineral supplementation can improve weaning weight more than 40 pounds and Oregon research has also supported a substantial weaning weight advantage of nearly 50 pounds,” said Marston. A 2016 Journal of Animal Science article reported that the treatment for bovine respiratory disease in feedlot calves was reduced by 50% when their mothers were supplemented in the last trimester with organic trace minerals, he said. Marston recommends VitaFerm® brand natural supplements formulated to address several needs at once. These supplements include Amaferm®, a direct-fed, natural microbial additive that increases forage digestibility. 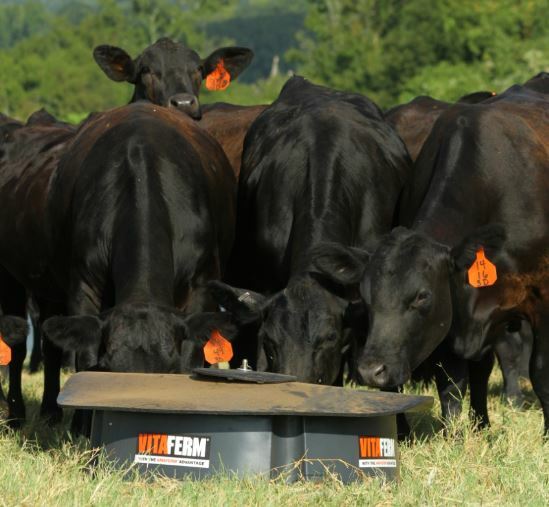 By utilizing VitaFerm supplements, producers can enhance forage digestion, provide needed vitamins and minerals, and maximize a cow herd’s potential and profit. For more information on VitaFerm’s complete mineral line, visit: www.vitaferm.com.